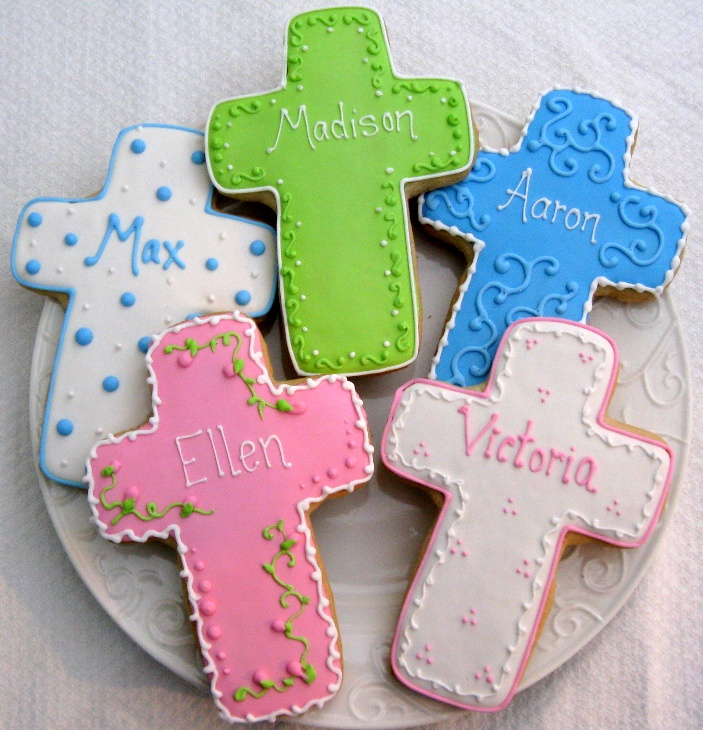 Looking for baptism or christening cookie favors? These homemade, beautifully designed, great tasting cookies make much-beloved party favors for your guests. Your cookies are baked to order and will arrive wonderfully fresh – their shelf life is a week to 10 days after you receive them. We ask that you give us 2-3 weeks notice so that we can plan our baking schedule around your needs. Please tell us the date of the event and we will schedule the baking and shipping so that your order arrives 3 to 5 days before your event. Each cross cookie is individually packaged in cellophane bag and tied with a ribbon in a color that compliments your design. These Baptism cookie favors measure 5 1/2" x 4". 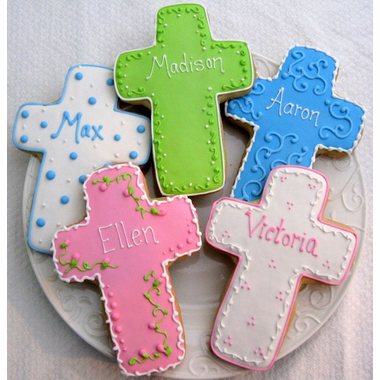 These make terrific edible christening favors, as well as edible baptism favors.